Camping World Truck Series Rookie of the Year candidate Justin Boston is part of a Toyota Tundra team that knows how to win: the No. 54 for Kyle Busch Motorsports, which visited victory lane four times in the last two seasons (and once as the No. 34) with Darrell Wallace Jr. behind the wheel. Learn more about the Joe Gibbs Racing development driver in this week’s Fast Facts. Justin Boston was born Sept. 12, 1989 in Baltimore, MD. Boston began his racing career in motocross; by age 13, he had won more than 300 times across the country. His motocross career ended after an accident sidelined him at age 13. Boston made the switch to four wheels at age 16, racing Legends cars and Late Models in the Charlotte area while still in high school. Following graduation, Boston moved to Charlotte to pursue racing full-time. He spent 2010 and 2011 on the sidelines while seeking sponsorship before signing with Venturini Motorsports in the ARCA Racing Series and sponsor ZLOOP Computer and Electronics Recycling in late 2012. Boston made his ARCA debut at Daytona in February 2013, running the full season for Venturini Motorsports. He scored two poles, both at Salem Speedway, 16 top 10 finishes and finished third in points; he was also named Scott Brand Rookie of the Year. In 2014, Boston won twice (Toledo and Madison), took three poles, earned 13 top 10 finishes and finished fifth in ARCA points. Boston also made his Camping World Truck Series and Nationwide (now Xfinity) Series debut in 2014. 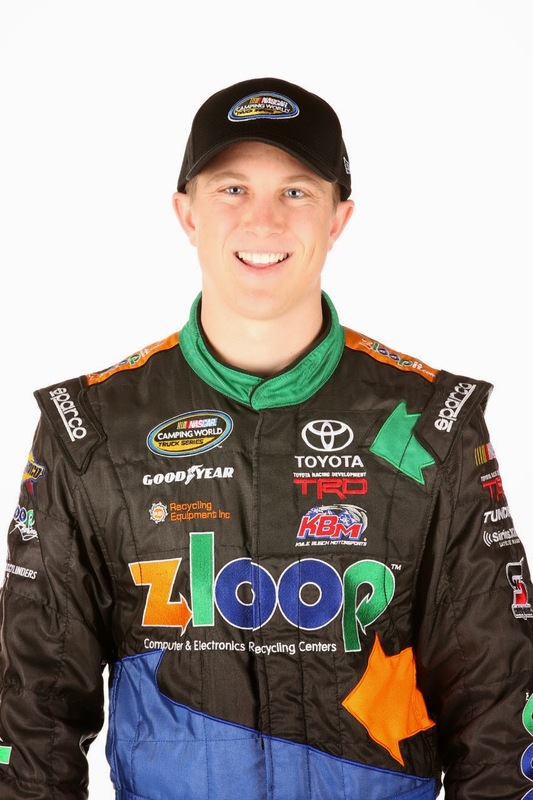 He raced at Bristol in the Truck Series in August for Venturini, starting 27th and finishing 30th. In September, he competed in two Nationwide Series races for JGR, starting 12th and finishing ninth at Kentucky and starting 11th and finishing 12th at Dover. Learn more about Justin Boston at jbossracing.com.